Panthenol (also known as pantothenol and provitamin B5) is the analog of vitamin B5, or pantothenic acid. It naturally occurs in skin, hair and nails. Vitamin B5 is essential in the processes of their formation – its deficit translates to rough and flaky skin, dull and fast-graying hair, split and brittle nails. This deficiency can be replenished by panthenol which has the same biological activity as vitamin B5. 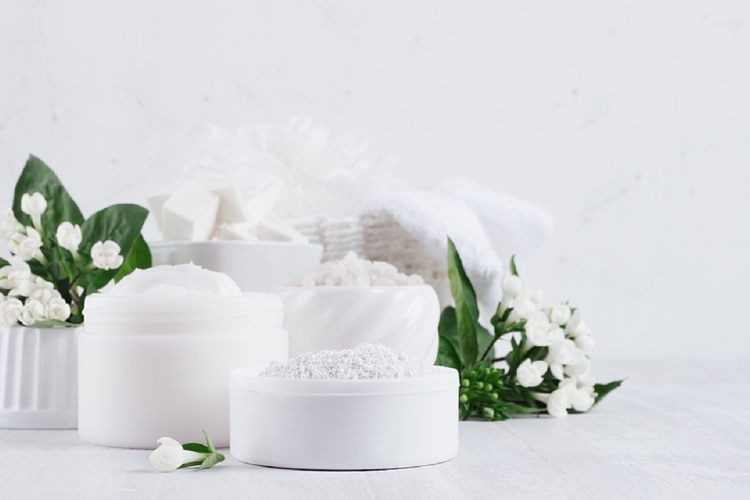 Because the latter is not durable in the original form, panthenol is added to beauty products – after penetrating the tissues, it transforms back into the pantothenic acid. What are the qualities of panthenol and its uses in the world of cosmetics? Panthenol penetrates skin, hair and nails, therefore, it works in a truly effective way and aims at various problems. First of all, panthenol has soothing and regenerating power so it makes wounds and minor skin damage heal more quickly (including blemishes after shaving or insect bites), as well as enhances healing of sunburnt skin and scars. Secondly, panthenol moisturises the skin – which gets softer and bouncier – and reduces the transepidermal water loss. Moreover provitamin B5 bolsters the hydro-lipid barrier of the epidermis so the skin no longer flakes and it’s moisturised. Panthenol improves the hair structure which means it hydrates, thickens and strengthens the hair fiber, enhances shine, adds softness and keeps ends from splitting. Provitamin B5 smoothes out the face lines, strengthens and regenerates the nail plate, which makes nails stronger and less brittle. Additionally, panthenol has anti-wrinkle and anti-aging effect: it smoothes out the wrinkles and softens, firms up and moisturises. Provitamin B5 is non-comedogenic which means it doesn’t clog the skin pores. Apply it directly to mucosa to repair and hydrate it as well. Panthenol has a gentle anti-bacterial, anti-inflammatory and preserving effect. It hardly ever causes allergic reactions, which is its extra asset. Used while sunbathing, it speeds up production of melanin and reduces negative reaction to the sunlight (redness, itching or flaking). Because panthenol structure resembles the structure of keratin (protein building hair, skin and nails), it is easily absorbed by hair. As a result, it deeply penetrates, making the hair silky smooth and shiny, strengthening, thickening and moisturising. It prevents the occurrence of dandruff, reinforces the bulbs and stimulates hair growth. Panthenol smoothes out and repairs extremely dry skin on hands and makes nails strong, smooth and shiny. Panthenol repairs nails that are ruined because of gel and protects them from harmful action of external elements such as enamels and detergents. Panthenol enhances skin treatment and repair after non-invasive procedures at a skin clinic. Also, it comes useful when you face to skin inflammation, cold sore and pemphigus. The panthenol solution enhances the repair processes in the cornea, moisturises eyes and protects them from dryness, tiredness and irritation popular among computer workers, and caused by AC and contact with swimming pool water. Panthenol and hyaluronic acid condition damaged nasal mucosa that you struggle with while having a runny nose or allergy.